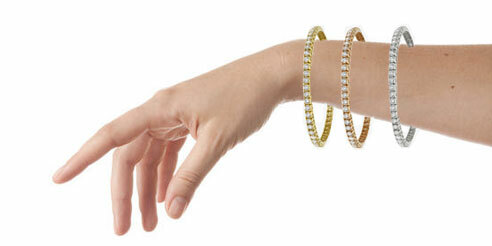 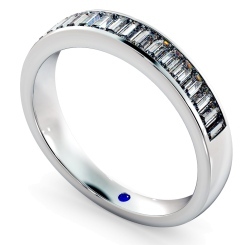 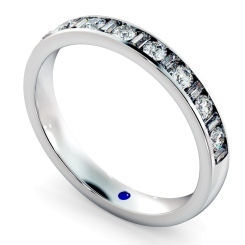 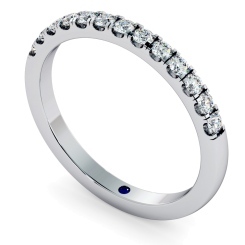 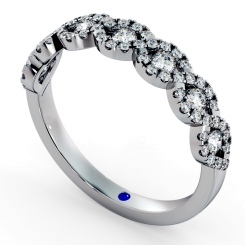 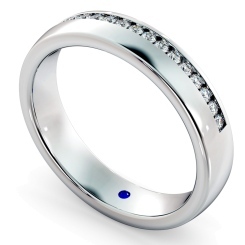 Showcase your everlasting love with a half diamond eternity ring. 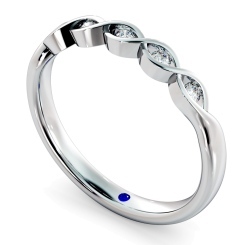 Eternity Rings are the perfect symbol of love, usually given to a married woman after 10 years of marriage, to commemorate a couples love, and their commitment to one another. 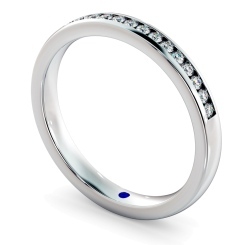 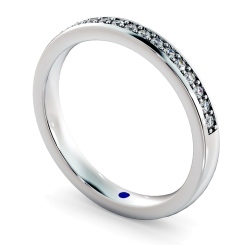 Our Half Diamond Eternity Rings feature a simple band, bound by a flurry of diamonds in a variety of metals and cuts. 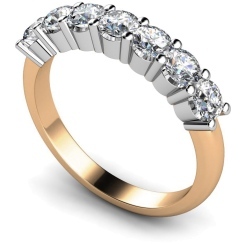 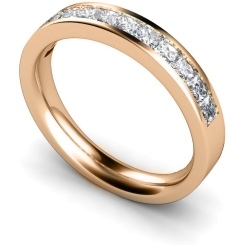 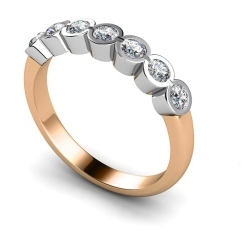 An eternity ring in Yellow Gold is perfect to match your wedding rings if you have a traditional gold metal, or try the trending Rose Gold metal, which has showcased popularity in the past few years. 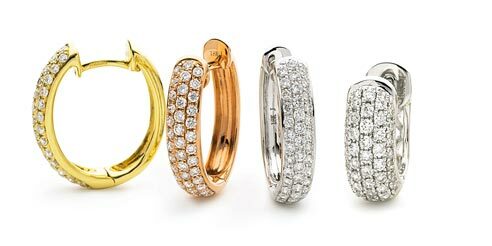 Whether your partner has a simple taste in jewelry, or likes extravagance, we have a range of ring styles to suit any taste. 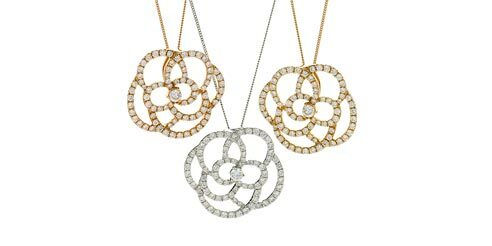 From round cut stones, with crossover bands and extravagant 7 stone diamonds, to a square princess cut designs, featuring nestled diamonds and simple bands, there is a style for all women. 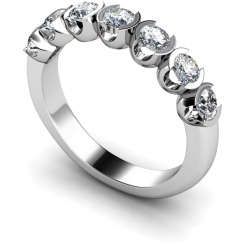 When you purchase an eternity diamond ring from Shining Diamonds, the four C’s (clarity, cut, colour, and carat) are at the forefront of every piece of jewellery we produce. 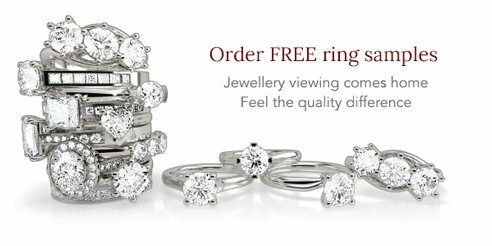 Your eternity ring will sparkle with everlasting love and promise - visit our store in Hatton Garden, London to view our eternity rings in person, or request a free sample to view your favourites from the comfort of your own home today.